AssetLogic is extremely flexible, so you can customise permission sets. We start with three standard levels of permission: Editor (edit all fields), Viewer (see all fields) and Minimum (see minimum information). However, you can also give a user different levels of permission for different objects or even for a particular field or fields within an object. How can I control which objects in a group a user can see or edit? 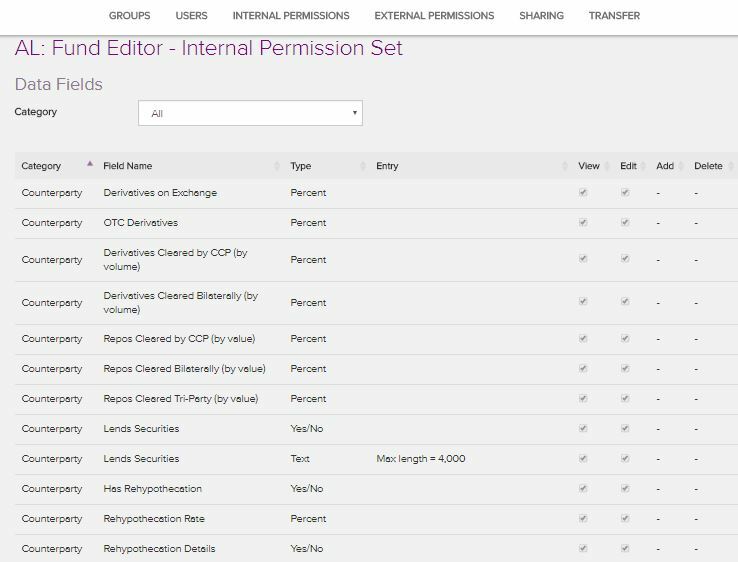 How do I create a custom permission set?